Owen joined EDC in 2013 after almost ten years at Sierra Club, where he was initially focused on community and media outreach and grassroots organizing for their California coastal campaign. Here he worked alongside EDC on the successful campaign against a proposed Liquefied Natural Gas terminal in the Santa Barbara Channel. Owen then went on to develop and manage Sierra Club’s entertainment industry outreach program on the way to becoming Director of Advancement overseeing eight Southwestern states. Owen has also been involved in several political campaigns, including serving as Director of Surrogate Operations for Senator Boxer’s 2010 reelection effort. 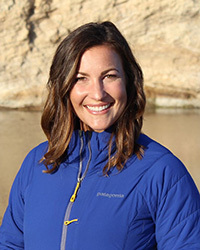 Kristen joins EDC with experience as a California Sea Grant Fellow for the Channel Islands National Marine Sanctuary, coastal program analyst for the California Coastal Commission, and consulting researcher for Seafood Watch. Kristen earned her B.A. in geography from UCSB and her Master of Environmental Science and Management (M.E.S.M. ), with emphasis in coastal and marine resources management, from the Bren School at UCSB. 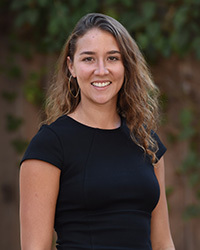 While studying at the Bren School, Kristen worked for EDC as an environmental advocacy intern, conducting research on the environmental impacts of oil rigs in the Santa Barbara Channel. Kristen enjoys hiking Santa Barbara trails, paddling along our coast, and exploring the Channel Islands. Before joining EDC, Maggie worked at Los Angeles Waterkeeper and was a law clerk at the Northwest Environmental Defense Center, Earthjustice, and Earthrise Law Center. She holds a J.D. from Lewis & Clark Law School and a B.A. from New York University. During law school, Maggie argued before Chief Justice John Roberts in the Advocate of the Year Competition, and was a member of the first place team in a national moot court competition. She has also co-authored an article in the Natural Resources Journal on Ninth Circuit administrative law. In her free time, Maggie enjoys stand up paddle boarding, hiking, travel, and yoga. Kathy graduated from the University of Michigan Law school with high honors and practiced general commercial law after a clerkship with Hon. Ralph B. Guy, Jr. of the U.S. Court of Appeals for the Sixth Circuit. During a 12-year stint as an expatriate in Asia, Kathy worked in Shanghai on the legal staff of General Motors China, and as an assistant editor for various English-language legal publications in Hong Kong. Following time off to raise a family, Kathy shifted her focus to non-profit work, first with the International Fund for Animal Welfare, and now with the EDC. An avid cyclist and novice trail-runner, she is grateful for the opportunity to help protect our area’s open spaces. Linda has worked at EDC as a staff attorney since 1989 and as Chief Counsel since 1999. Linda’s specialties include fighting offshore oil and gas development, protecting natural resources, and preserving open space lands. 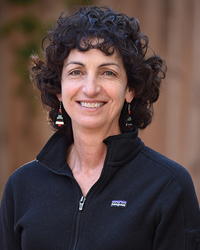 Linda’s successes include the unprecedented termination of 40 federal oil and gas leases offshore California, defeat of several specific oil drilling projects, and preservation of important areas for public access and ecological protection, including Hearst Ranch, Ellwood, Carpinteria Bluffs and Sedgwick Ranch. 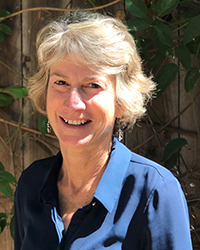 Linda represented the conservation community on the Channel Islands National Marine Sanctuary Advisory Council from 1998-2013, and teaches Environmental Law at UCSB. Tara graduated from the University of Maryland Carey School of Law with honors and a certificate in environmental law. She has a diverse environmental law background from interning with the largest litigating section of the U.S. Department of Justice, Environment and Natural Resources Division, to clerking with the Environmental Defense Center, among others. 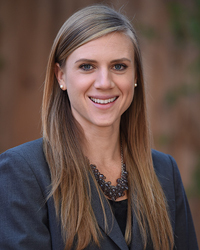 Prior to joining EDC staff in 2017, Tara practiced as a civil litigator in Santa Barbara, handling a variety of cases involving intellectual property, contract disputes, and employment law. 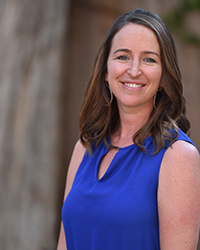 She is thrilled to join the EDC team as the organization’s mission aligns with her longtime commitment to protecting and preserving the environment. 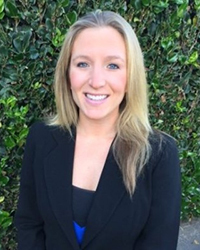 Chloe joined EDC as the Administrative and Development Assistant in 2015 shortly after moving to Santa Barbara, and quickly moved up to be our Development Coordinator in July 2016. Born and raised in Jamaica, Chloe has seen environmental management at its worst and from a young age always wanted to do something that would make a difference. She attended Chapman University where she graduated with a B.S in Environmental Science and Policy. While at Chapman Chloe worked as a Civic Engagement Assistant providing environmental outreach and has had internships with Jamaica Environment Trust, a nonprofit organization. She is excited to take all that she has learned and apply it to her work at EDC. Chloe loves being outdoors; hiking, running and especially the beach. Kaleena joins EDC with a wide range of experience in the nonprofit sector and beyond. After graduating from UCSB with a degree in Communications she worked at a local nonprofit for five years providing vacation travel for people with special needs. She then moved to South Korea to teach English for two years before embarking solo on an 18-month round the world trip during which she worked on a sustainable land use project in Bali, a farm in New Zealand, a sustainable building project in Thailand, and with refugees in Greece. She is passionate about conservation and believes protecting the environment aligns closely with her advocacy of human rights. She loves hiking, scuba diving, brewing beer, and exploring the beautiful central coast. 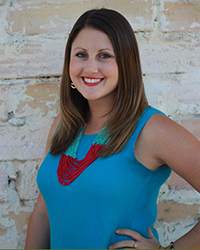 Alicia first came to EDC in 2000 as a law clerk, and joined the EDC Board while working as an attorney at the law firm, Cappello and Noel, LLP. She later joined EDC as a Staff Attorney for several years before taking time off to raise two young boys. During her family sabbatical, she maintained her commitment to environmental protection through her work on the EDC Board, serving as the Board President and Co-Chair of the Program Committee. 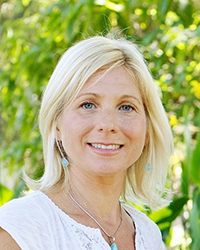 Alicia is a graduate of UCSB’s Environmental Studies program and earned her J.D. from Lewis and Clark Law School. 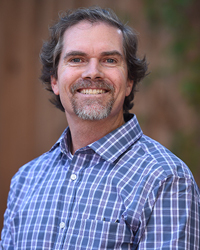 Brian grew up in Goleta beginning in 1970, attended local schools including UCSB, graduated with High Honors in 1990 and earned various accolades including the Environmental Studies Department’s first Outstanding Alumni Award. 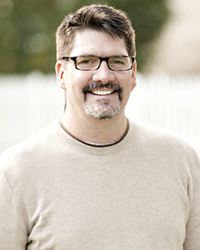 Brian founded the Santa Barbara Urban Creeks Council in 1987 and served as the group’s Executive Director until 1997. Brian received the statewide Outstanding Organizer Award after increasing the Council’s membership from 150 to 3,000 in one year. A stream restoration manager and biologist, he was named California Trout’s Streamkeeper. Brian has twice been recognized as a Santa Barbara Independent Local Hero before beginning his tenure at EDC. Betsy joined EDC in 2007 after working at the Wyoming Wilderness Association to protect and expand federal Wilderness Areas in her home state. She serves as the interface between EDC and the public by coordinating community outreach and education initiatives, along with EDC’s array of public, media, and online communications. Betsy also conducts operations administration and event planning. She earned her B.A. in Anthropology from the University of California, Santa Cruz.